While I was home with my mother in California I saw several old movies that carried the theme of manliness and fatherhood: How Green Was My Valley (1941) and The Magnificent Seven (1960). How Green Was My Valley is an American Film directed by John Ford based on the novel by Richard Llewellyn. The story is set in South Wales in a small coal mining village and concerns the life and times of the Morgan Family as seen through the eyes of its youngest member Huw, played by a 12 year old Roddy McDowall. 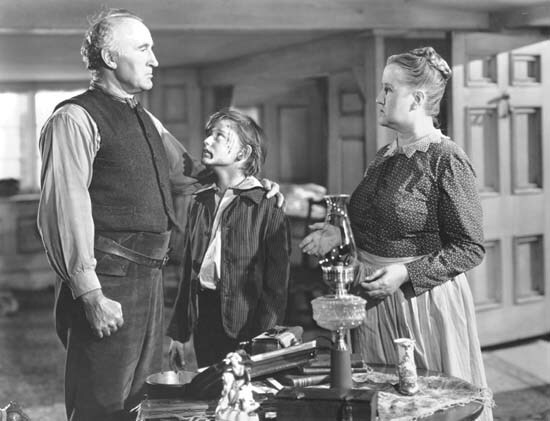 Huw has five older brothers, all of whom work the coal mines with their father Gwilym, played by Donald Crisp who for this role won an Oscar for Best Supporting Actor. (The film also won Oscars for Best Film and Best Director, among other categories). What struck me about the film was the way in which the father was portrayed as a strong but gentle man. Gwilym is a real patriarch who has to deal with changing times and the vicissitudes of raising a family in a place with an uncertain economic future. He is a stern old man, but never unkind. He is committed to the welfare of his family and thinks little of himself. There are two scenes that stand out in my mind. In the first, the five sons who work with Gwilym respectfully disagree with him over the need to unionize the coalminers in the face of layoffs and pay reductions, a step that he would not support because of his objections to socialism. The men are hesitant to cross their father, but are unwilling to be dishonest about their true convictions. It is a very interesting vignette of a father maintaining his authority in a reasonable way without being overbearing. 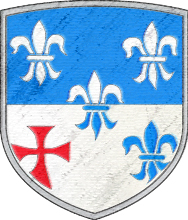 The sons choose to leave home, but eventually come back in support of their father when the mother, Beth (Sara Allgood), defends Gwilym before all the minors in town. There is a real sense of the burgeoning masculinity of the sons inevitably clashing against the authority of the father, and the old man managing it with both tenacity and self-restraint. The other scene has to do with young Huw’s problems at school due to the prejudices of wealthier children and even of the teacher. He takes a beating from one of the older boys and when he comes home bloody and bruised his father promises him a graduated monetary reward for each injury he will subsequently endure. He then asks Huw if he is willing to go back to school and when the lad says yes, Gwilym sends for the town pugilist. And so the boxing lessons begin. Of course, Beth vehemently objects, but is overruled by Gwilym and the boy is on his way wholesome self-reliance and manhood. There are several other examples of strength, compassion, good humor and selflessness on the part of Gwilym that make this film portrayal of a father highly memorable. The Magnificent Seven is a Hollywood remake of the Japanese film by director Akira Kurosawa, The Seven Samurai (1954). When Yul Brynner saw the Japanese original he immediately conceived the idea of recasting it as a Western. The basic plot for both films concerns a townspeople of a small village that are being periodically raided by bandits. Without any other solution at hand, the fathers of the town contract fighting men to protect them (samurai/gunfighters). In the American film, the fathers of the town seek to defend themselves by purchasing guns, but are advised by Chris Adams (Yul Brynner) to hire men with guns instead. Eventually, seven professional gunfighters, including Adams are found and the rest of the movie is a juxtaposition of the seven drifters and the fathers of the town, each group exchanging values and skills: the gunfighters learning more profoundly the value of community and family life and the fathers learning the skill of self-defense. Don´t ever say that again about your fathers. They are not cowards! You think l am brave because l carry a gun. Your fathers are much braver because they carry responsibility for you, your brothers, your sisters and your mothers. This responsibility is like a big rock that weighs a ton. lt bends and it twists them until finally it buries them under the ground. Nobody says they have to do it. They do it because they love you and they want to. l have never had this kind of courage. Running a farm, working like a mule, with no guarantee what will become of it – this is bravery. That´s why l never even started anything like that. That’s why l never will. Admittedly, this assessment of fatherhood is ambivalent, as was American culture in 1960. Fatherhood is recognized as a good thing, but it is seen as unglamorous drudgery. At least the man is honest enough to admit where true courage lies. The most difficult things only cease to be burdensome when they are done out of love. Courage in its profoundest sense has to do with self-forgetfulness. The dialogue and visuals in the movie are a bit kitsch, with plenty of cliché cowboy lines and silly swagger, as well as the annoying musical score that became the advertizing music for Marlboro cigarettes, but all of it was worth enduring just to hear Charles Bronson praise fatherhood. Alas, Hollywood, how far thou hast fallen. Update: Encampment Cancelled due to weather. 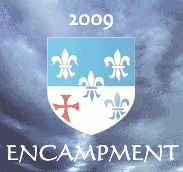 The Encampment widget in the sidebar has been updated. The advertising flyer and the Registration form are now available in the link provided for download. The dates for the Fall Encampment have been changed to October 16-18.